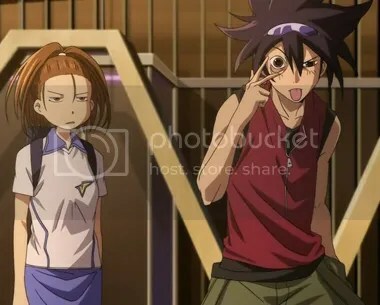 Listen – Episode 1 of Phi Brain – Puzzle of God is from Sunrise with the opening “Brain Diver” by May’n. Listen – Episode 1 of Chihayafuru from Madhouse with the opening “YOUTHFUL” by 99RadioService and is streaming on Crunchyroll. Listen – Episode 1 of Horizon in the Middle of Nowhere from Sunrise with the opening “TERMINATED” by Minori Chihara and is streaming on Anime Network. Listen – Episode 1 of You and Me from J. C. Staff with the opening “ByeBye (バイバイ)” by 7!! and is streaming on Crunchyroll. Let me Fansplain something to you. Great piece! Such short-length podcasts are really nice to give us an impression of what the show is about. However… It looks like not a single show among these is worth the effort. Phi Brain is just a puzzle show where you can’t wrap your brain among puzzles, Chihayafuru is a show about a theme so alien to the West that it stops short of being enjoyable, You and Me is “pointless” and drowzy, and I really never want to watch Horizon in the Middle of Nowhere. As long as I have my Fate/Zero I am happy but that is just me. There is still Last Exile: Fam, the Silver Wing, Mirai Nikki, Gundam Age, Guilty Crown, and Un-Go that have potential. I have heard good things about Persona 4 and like the the new episodes of Squid Girl I have seen. I thought Psi Brain was mega cheesy but a fun kids show and Chihayafuru was more about the people than the game. But I watch Mahjong anime so who knows. Still sometimes a season be not for you. That means it is time to hit that back catalog of goodness. How come I feel the fall is not as strong as the summer…even though there are still a few animes that have not aired yet? I think the problem with this season is there is some distinct sequelitis as well as too many shows based on weak sauce light novel. I think Narutaki would disagree.